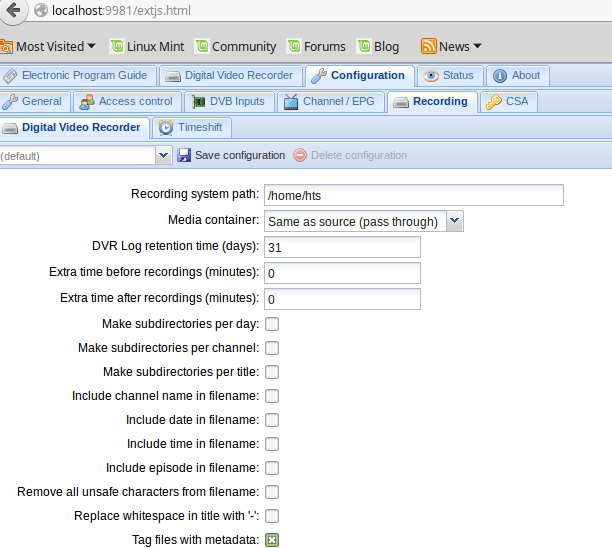 TvHeadend is TV streaming server for Linux based systems. It supports Digital Video Broadcasting standards (DVB-S, DVB-S2, DVB-C, DVB-T), Advanced Television Systems Committee standards (ATSC), IPTV, and V4L as input sources. It supports HTSP (Home TV Streaming Protocol) , RTSP server and the built-in Digital Video Recorder as output sources. It is easy to manage via web interface and provides multi-user support as well where you can grant access to various system features based on usernames or IP addresses. Tvheadend specializes in receiving the television signals and supports a client–server model which lets you allows you to watch Live TV, listen to radio or view a EPG TV-Guide. Let’s see how we can install and configure it in Linux mint 17.1. 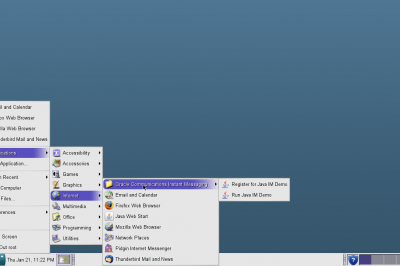 Linux Mint is a ubuntu based operating system so it also uses APT as its package manager. 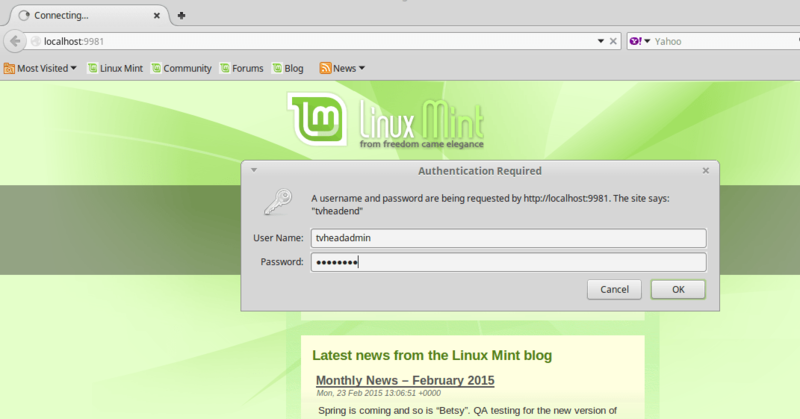 In order to install TVheadend on Linux mint, we will need to first add its PPA to the APT package manager. Edit APT's sources file located at /etc/apt/sources.list path using Gedit text editor by running the following command on the terminal. Append the following line to the sources file and save it. Since we have added a new repository to the APT sources, we need to update APT manager first. 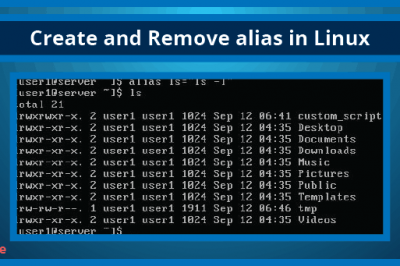 Run following command on the terminal to update its repos. That’s all, you are ready to install TvHeadend now. Run the following command on your terminal window and it should initiate the installation process. During the installation, Tvheadend launches the configuration window, where you can set username and password to login and manage your TvHeadend instance. The very first step is to set the administrator username. Hit “Ok” once done. One next step, specify password for your admin user you created. Hit “Ok” when done. Next screen, it will let you know how you can access your TvHeadend after installation is successful, by using http://localhost:9981 in the web browser. That’s all, Tvheadend has been installed successfully on your Linux mint system. Tvheadend is easy to control and configure, once installation is completed, just point your system web browser to http://localhost:9981 . 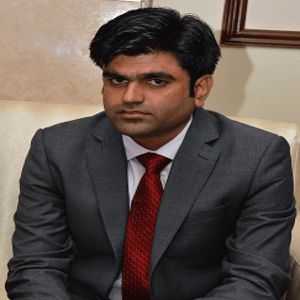 It provides a web user interface that runs on an internal HTTP server. This internal HTTP server runs on TCP port 9981. If you have successfully installed Tvheadend on your Linux system, then http://localhost:9981 URL should load for you without any issues. Login with your username and password you specified earlier in the configuration process. 1. 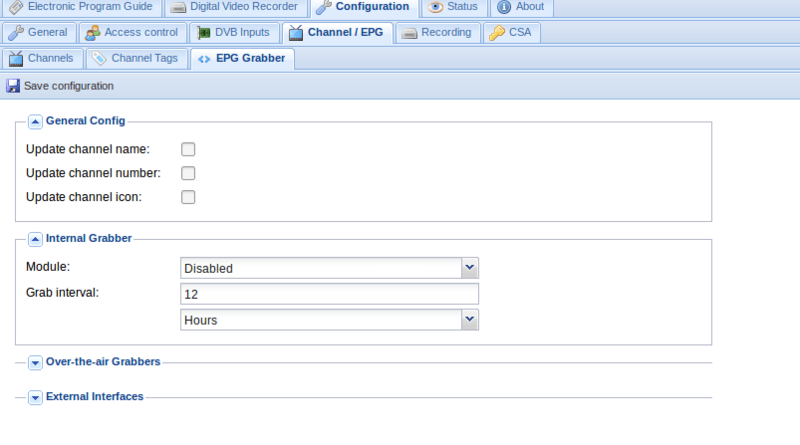 Specify your TV adapter, under "Configuration" Tab, click "DVB Inputs" tab. You should be able to see option to specify your TV adapter from here. Choose your TV adapter from drop down list. 2. Configure your EPG under "Configuration tab, click on “Channel/EPG” tab and then from “EPG Grabber” option , you can configure your EPG settings. 3. Digital Video Recorder settings should be changed to meet your preferences, from "Configuration" tab, click on "Recording" tab and then choose "Digital Video Recorder". Tvheadend is a smart application where all channel data, recording and streaming is successfully conducted over a single TCP connection. Its key feature is that it uses TCP ports for data communication without sacrificing the speed. It’s an open source project and the source code for Tvheadend is hosted on github.